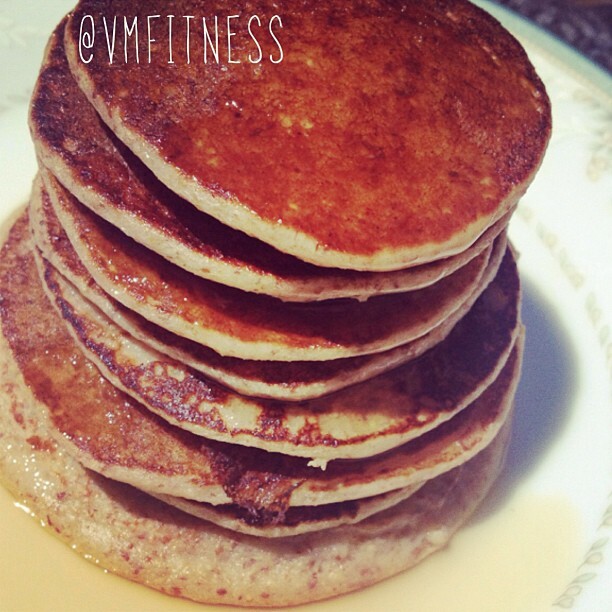 I call my pancakes #nomcakes because when I like the word better, and because I NOMNOMNOM them like no tomorrow. Cook on a nonstick or Pamed pan on the stove top - low to medium heat! Fluffy #nomcakes coming your way! QUEST BAR GIVEAWAY!!!! Another RAFFLE! Check out my blog review of them here and here and here! Can't be private because it won't show in the hashtag! 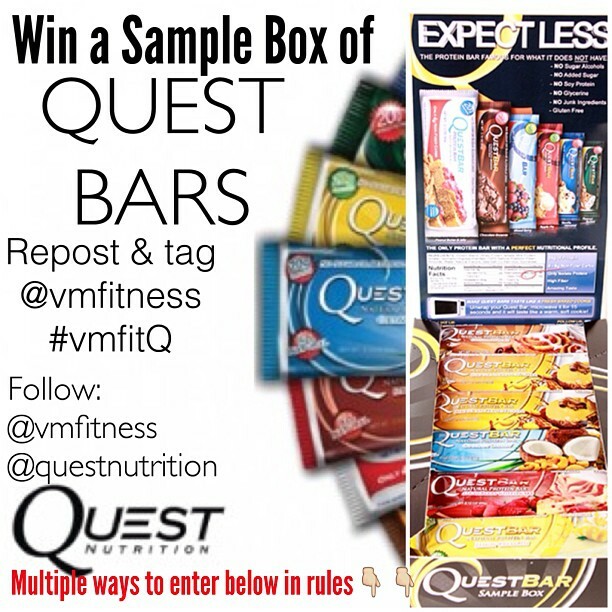 Follow me on VINE: "Josie VM" and comment on any video your favorite #questbar flavor! Comment on THIS blog post your favorite quest bar flavor! Buy either of my ebooks and that counts as FIVE  entries! 3 lucky winners will be chosen at random! Oh my goodness I love a baked peanut butter supreme. Seriously, the best peanut butter "cookie" I've had in my life! Not sure if I should be sad about that or just go with it! lol! Chocolate chip cookie dough or cinammon buns! Chocolate Brownie or cinnamon roll. I really want to try the chocolate chip cookie dough though! Thanks for the giveaway as well. This is such a tough one, but I would have to say Chocolate Brownie is my favorite. Followed close behind by Cinnamon Roll and Chocolate Chip Cookie Dough! My favorite Quest flavor so far is the choc pb, but I havent had a chance to try the choc chip cookie yet! Looking forward to that and also to the new raspberry flavor! Chocolate chip cookie dough!!! Even the name sounds yummy. Cinammon roll and cookie dough!! !